If you’re looking for something fresh to do this holiday season or are simply dreaming of a lush green Christmas instead of the usual cold white kind, consider Costa Rica for a taste of the good life, or as the locals call it, La Pura Vida. A toucan in a canopy! 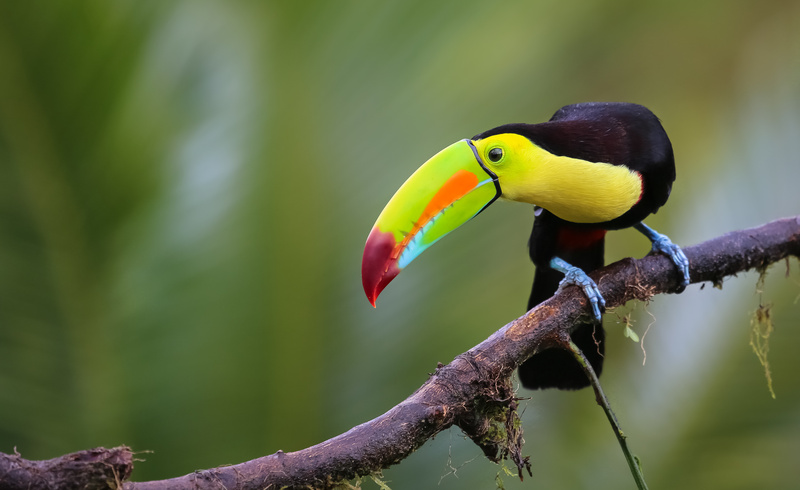 Nearly 900 avian species have been recorded in Costa Rica, so pack your binoculars and see who can spy the most exotic birds. Behold the cacophony of sound these colorful creatures create in this tropical paradise. Better than hearing The 12 Days of Christmas over and over and over, right? 6. Who needs mistletoe when you’ve got “hot lips”? Hot Lips, or rather labios de novia, is a scarlet plant reminiscent of Mick Jagger blooming amidst the fantastic greenery. Though Costa Rica makes up only .1% of the world’s landmass, it contains a whopping 5% of the planet’s biodiversity and boasts the largest percentage of protected areas in the world. The rare and often comical flora provides the perfect backdrop for wildlife galore, like sloths, monkeys, poison dart frogs, and even jaguars. 5. 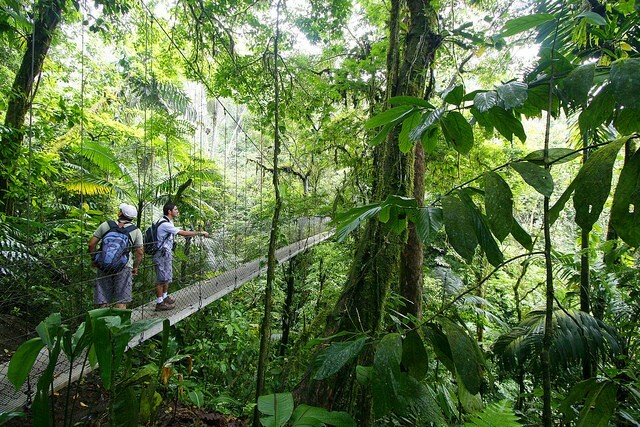 Your kids will be singing “Joy to the World” at the top of their lungs as they merrily zipline over a cloud forest. 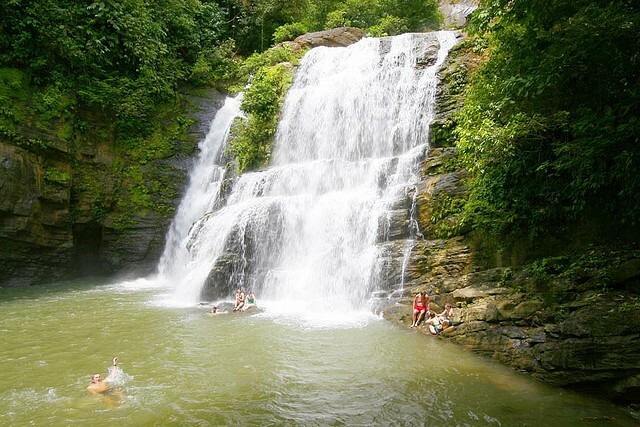 Whether exploring treehouses in the treetops of a rainforest or rappelling down a series of refreshing waterfalls in pristine canyons, your family is bound to overindulge on the feast of accessible adventures awaiting you in Costa Rica. As one of the world’s most family-friendly destinations, it’s the perfect place to safely try new things like surfing, kayaking, snorkeling or the salsa. 4. Forget silver bells; Costa Rica’s all about the marimba. 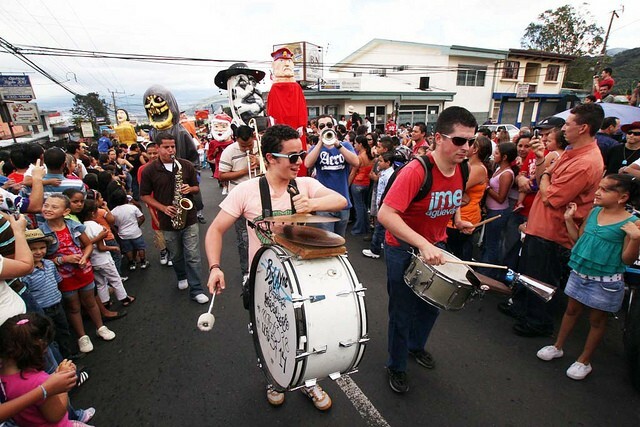 Known for its’ salsa and merengue dancing, guitar playing and Latin swing, Costa Rica’s national instrument is actually the marimba. Shake out of your usual Christmas groove as you tune your ears and move your hips to something besides The Little Drummer Boy. 3. Don’t worry; food is also a Costa Rican tradition during Christmas. While you can easily find traditional Christmas dinner with stuffing and even eggnog, why not relish some tamales, homemade tortillas and plantains instead? 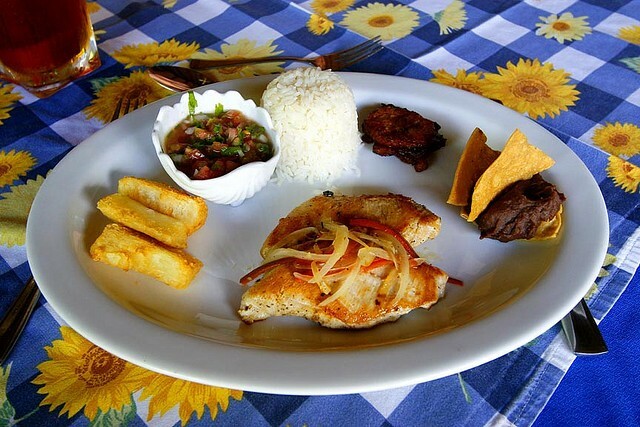 Costa Rican cuisine blends a mix of Caribbean, Spanish, Native American, and even African flavors. Who knows? Next Christmas you might find yourself looking up recipes for Tres Leches Cake instead of sweet potato pie. 2. Unplug to truly unwind. 1. Remember the year you wore flip-flops instead of wooly slippers for your Christmas Eve elf-responsibilities? December marks the beginning of the Costa Rican summer. Warm temperatures both above and below the sea mean you can leave the parkas and snow boots at home in exchange for sandals and board shorts. At the end of the day, watch the moon rise overlapping waves on a white sand beach while your kids dream of sugar cane fairies. That beats any Christmas present wrapped in a box. Feliz Navidad y Prospero Ano, amigos!